Debuting in Spring 2008, the Rock N Rhythm Revue is a 30 minute program created by Matt Masters, who produces & hosts each show. The Revue is based in Indianapolis on its home station 91.9FM - WITT; as well as several other stations worldwide: look the bottom of the page and click! The Revue showcases the musical period of roughly 1945-1965 encompassing the genres of jazz, blues, jump blues, swing, doo-wop, rockabilly, R&B, rock n roll, garage rock, early British invasion - and well you get the picture - no wimpy malt shop memories, no Patti Page or Pat Boone, nor other bland pop music of that era - its gotta have rhythm and its gotta rock. The Revue can be heard (EDT) Fridays @ 9:30pm & Saturdays @ 10:30am on WITT (91.9). Sundays from 3:00-5:00am on WICR (88.7): Indianapolis. Thursday @ 7:00pm on KVRZ (88.9): Montana. Friday @ 11pm on KKRN (88.5):California. 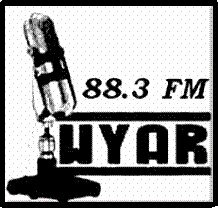 Friday @ 3:30pm on WYAR (88.3):Maine! Each show is theme-based: sometimes an artist or record label is showcased, or sometimes a genre or one song is featured (in its various versions) & sometimes its just a subject we are all familiar with.